It is a proven fact, that singing releases endorphins (feel good chemicals)’ in the brain, which in turn reduces the levels of cortisol (a stress hormone), which lives in your bloodstream and releases oxytocin, which alleviates anxiety on many levels. Many individuals I’ve worked with have reported that after a good singing session, whether it be in a group or one to one, that they feel a sense of euphoria and accomplishment. As breathing is a fundamental aspect of singing, this adds to the many benefits that relaxes both body and mind.” This should be available on the NHS,” quoted from a student of mine, who suffered with chronic asthma and unable to climb a flight of stairs, was able to walk a full flight of stairs after a couple sessions on breathing principles. Structured learning for intermediate and advanced level singers that enhances your knowledge of the voice and how it works. We work with you to develop your technical skills allowing you to enhance your vocal character and skill with freedom in performance. 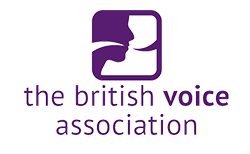 You will receive detailed instruction on articulation, resonance and breathing as well as specific vocal exercises that will overcome challenges in the voice. Do you just want to sing, but don’t know where to start. You will learn the basics of vocal technique, how to identify notes and pitch recognition. 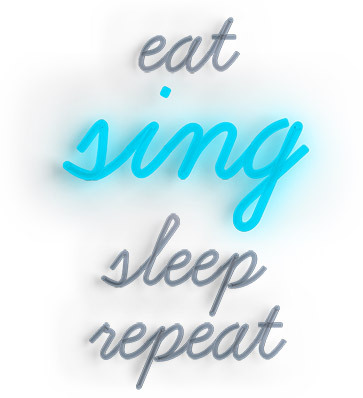 We will help you choose songs that suit your voice and ability and challenge you with smart and practical exercises to improve your vocal ability. We will work with you to find the strengths and challenges within the group and design a programme to address the needs. Some of the topics we will cover will include harmony structure and approach, vocal texture, breathing techniques and vocal anatomy. Specific vocal learning aimed at educational establishments for a period of a minimum of 4 weeks. As agreed and contracted by the particular learning provider in a classroom based setting in a fun and interactive environment. Does your group or choir have any specific needs around singing and vocal technique, that you want to improve. I create a plan designed for your group after a consultation, giving practical tools needed for a better and a more knowledgeable approach to vocal performance, with a personal touch. This intensive 4 week course designed to improve your vocal ability. The 4 weeks will cover topics including vocal anatomy, breathing and vocal exercises, registers and resonance, pronunciation and articulation, vocal performance. I love to sing, usually on my own in the car or in the shower. I sang with a gospel choir for fun, but always stayed in the background where i would feel comfortable. Conrad has a way of bringing the best out of your voice, Releasing the limitations you place upon yourself. The way he breaks things down you can really visualise what’s going on with your voice, helping to understand and progress in a laid back comfortable way of teaching. I have used this knowledge in my own singing ability but also to pass on to others I work with. I would recommend Conrad as a vocal coach to all levels of ability. So far just four lessons with Conrad I have noticed significant improvement in both my breathing and my vocal range. I am really surprised just how quickly these improvements have happened and I am looking forward to what the next few lessons bring. Conrad is an excellent teacher, full of knowledge. Thank you Conrad you are an absolute Blessing. I have learnt things I never knew and I’ve come away feeling like a more accomplished singer, who wants to accomplish more. As so many have said through your work you have changed my life.